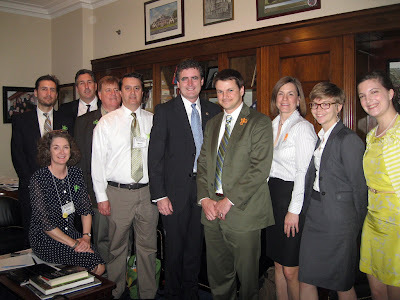 Are you interested in asking your congressional representative in Washington DC to support bicycle programs? Consider taking the day off to join fellow cyclists from the Greater Philadelphia region as we attend the National Bike Summit's Lobby Day on Wednesday, March 6th. We invite you to travel down to DC and join us in pounding the pavement on Capitol Hill to visit the offices of our congressional representatives and Senators. You don't have to attend the National Bike Summit to participate in this Lobby Day, but we do ask that you let us know if you want to come down on Wednesday. Please send an e-mail to bike (at) bicyclecoalition.org with your name, home address, and contact information. We will send you the schedule and where to find us. We cannot provide you with transportation, but we can let you know who else is travelling so you can find someone to carpool with. This is a fun experience and a great way to get involved in lobbying for a cause that matters to you! 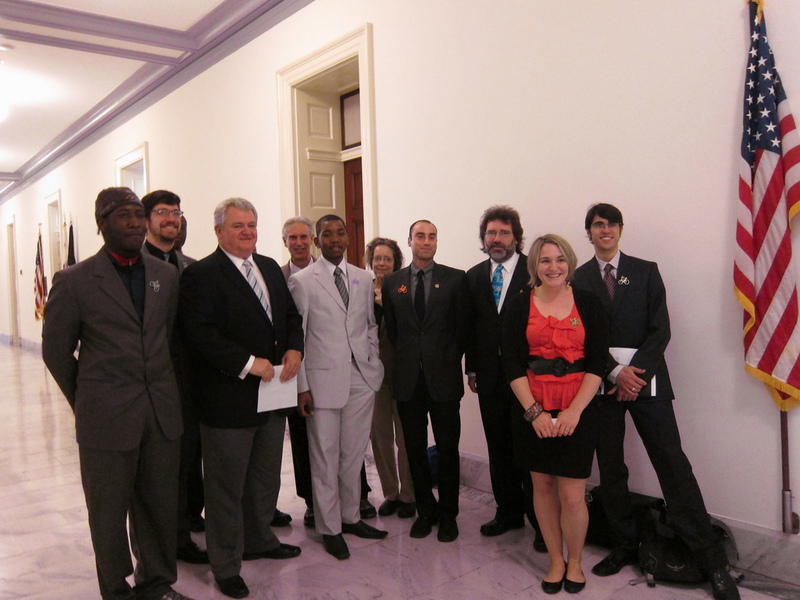 We will be asking our congressional delegation to support biking and walking programs, funding, and trail projects. Last year, we met personally with Congressman Brady, Congressman Pat Meehan and Congressman Mike Fitzpatrick. This year, the chairman of the House Transportation Committee is Congressman Bill Shuster (PA-9), so the PA delegation is even more important than ever! We need to send the message loud and clear that bicycling is good for Pennsylvania's economy. Please join us!